Global picklist is launched at Summer 16. It still in beta so there are known issues . The list of inherited values doesn’t appear directly on the detail page for a picklist that’s based on a global picklist; but you can click a link to view the picklist value set. For custom picklist fields based on a global picklist, you can change from a single-select to multi-select picklist, and from a multi-select to single-select picklist. However, you can’t change the picklist to a different field type such as checkbox, currency, or text. I found some issue when trying to use it. 1 - Once you create custom picklist with Global Picklist value, there is no way to revert it as local picklist.We have to delete that custom picklist. 2 -If we decided to delete that Global Picklist and that Global picklist is used by custom field, there is no way to delete it.I tried to delete that custom field first and delete the Global Picklist, it still prompt me that if we have existing picklist.So I tried to deactivate -- but still we need to leave one value active.So I tried dare method: delete the custom object that contains custom picklist that use Global Picklist.IT STILL DOES NOT WORK.Based logic,if custom picklist is deleted, should it remove from the usage? The section will bring you to deleted custom field. 3 -If we have existing custom picklist, we not able to convert it into Global Picklist.Pleave vote here . Please let me know what do you think about picklist.Have you encounter the above issue, how you solve it. Some of questions that may help you to study.It may not exactly same,but at least it gives an idea how the question look like. Question 1: Which two valid ways of loading external java script ? Question 2: A developer with 100 accounts execute following code in developer console. How many account in the organization after the code run? Question 3:A developer using Helper class to generate Account list as below. What code that developer should run in order to make some of the data are inserted although some data maynot be successfully inserted. Question 4:Which locations can custom Rollup Summary field can be created using standard object relationship.Choose 3. Question 6: Given the code below . What is the output in Visualforce below? Question 7:When the value of a field in account record is updated,which two(2) methods will update the value of custom field in all related Opportunities? Let me know the answer in comment below.Thanks and have a nice day. 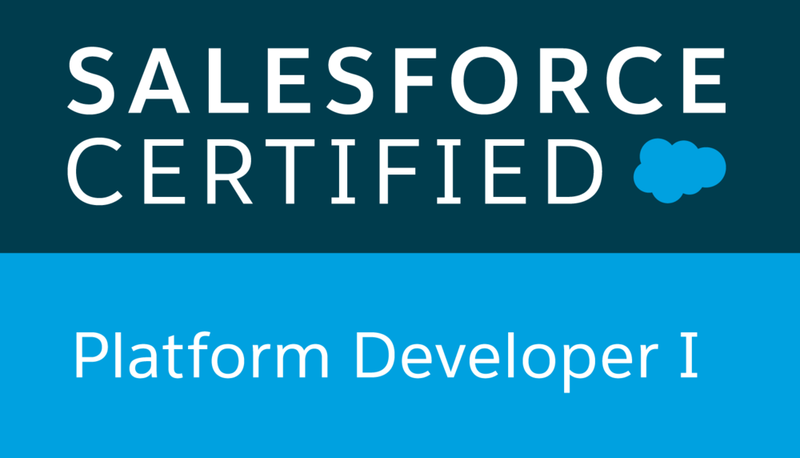 I passed my Salesforce Developer Platform 1 exam on 30 Dec 2016.This was my second attempt.I am glad at last , I got it over with a happy ending. 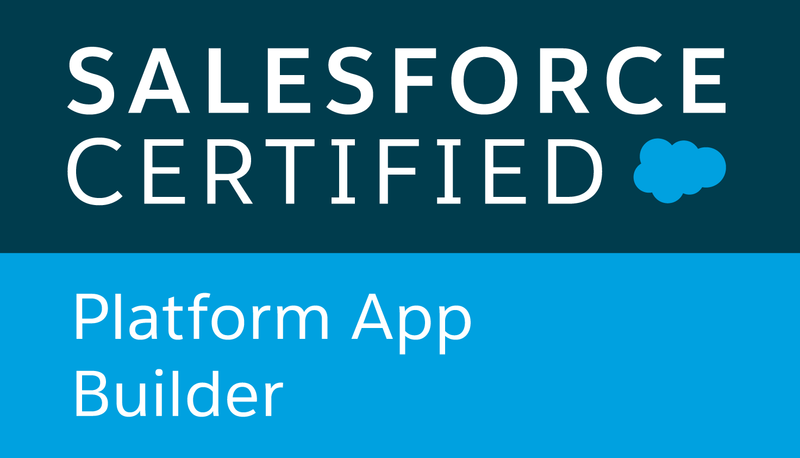 I am working in Salesforce since 2011 and I got to know Salesforce with self learning.Salesforce workbook, documentation ,Salesforce StackExchange and mr. Google are really helpful. I took few months to sit for the second exam after my first attempt.It give me time to study. Please take the Exam Guide seriously.I ticked the topic to indicate how many times I study the topic.I am lucky because I found the reference here , it explained the details on which topic that we should study. I made note on the topic that I studied and put it on the wall.Near my desk, near my bed,at door and mirror.Just to make sure I get to use with it everyday. Well, I am referring quite a lot on mock up question.I will study the topic that asked by the question.For example if the question asking on Roll Up Summary , I will study the topic on Relationship in Salesforce.Memorize the the answer is not good.But reading the question/answer and study the pattern is good.Honestly I feel the question is tricky.Sometimes I need to keep reading it to understand. That's my tips.I will post some of questions that I remember and hopefully it will help your study.